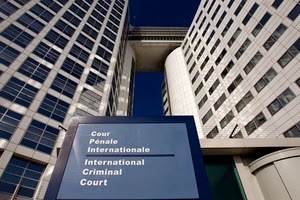 The ICC is an independent international organisation, and is not part of the United Nations system. Its seat is at The Hague in the Netherlands. Although the Court’s expenses are funded primarily by States Parties, it also receives voluntary contributions from governments, international organisations, individuals, corporations and other entities.The international community has long aspired to the creation of a permanent international court, and, in the 20th century, it reached consensus on definitions of genocide, crimes against humanity and war crimes. The Nuremberg and Tokyo trials addressed war crimes, crimes against peace, and crimes against humanity committed during the Second World War. In the 1990s after the end of the Cold War, tribunals like the International Criminal Tribunal for the former Yugoslavia and for Rwanda were the result of consensus that impunity is unacceptable. However, because they were established to try crimes committed only within a specific time-frame and during a specific conflict, there was general agreement that an independent, permanent criminal court was needed. On 17 July 1998, the international community reached an historic milestone when 120 States adopted the Rome Statute, the legal basis for establishing the permanent International Criminal Court. As of July 2013, the ICC had 122 states parties, opened investigations in eight countries, and issued two verdicts (Lubanga case and Ngudjolo case). Over the last decade as the court has gotten up-and-running, it has made significant headway in putting international justice on the map, giving rise to increased expectations wherever the world’s worst crimes occur. This was poignantly demonstrated by the signs held by Syrian anti-government protesters that read “Assad to The Hague,” a reference to abuses of the country’s president. But while the ICC is now the primary address for international criminal accountability, its daunting mandate and world-wide reach have made the flaws in its workings more visible. The governments on which the ICC depends to carry out its mandate have been inconsistent in their support, particularly when it comes to arrests. In June 2012, Fatou Bensouda was sworn in as the court’s new head prosecutor. Arrest warrants are pending for suspects in the Libya, Sudan, Uganda, Cote d’Ivoire, and Congo investigations. The court and its member countries face major challenges in meeting expanded expectations for the court in its second decade.